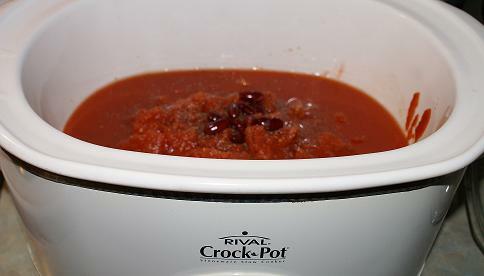 Last week I promised I would get you my budget friendly slammin chili recipe and here it is. I hope I had you all drooling over my Spicy Cheesy Bacon Corn Bread which I have accompanying this dish as it’s worth the extra time to make them. For some a thick slice of fresh hot slice of home-made bread slathered in butter will do the trick but I wanted to try something new. If you like to try something different.. give it a shot, it’s very tasty. Mr. CBB’s Slammin Chili can be as mild as you like it or as Spicy as you like it. We prefer somewhere in the middle to protect us from the morning after effect in the loo as we don’t have stomachs of steel in the CBB home. There are many types of chili peppers depending on what region of the world you are in. They also differ in heat and sweetness but for the most part add tonnes of flavour to any dish. One of my favourite peppers is the pepperoncini Chili pepper.. particularly the one’s that are marinated or pickled. I can eat those one after another with some fresh bread.. you know the one’s you get at East Side Mario’s in your never-ending Garden salad…. YUM! 100-500 Scovilles: Also known as Tuscan Peppers, sweet Italian peppers, or golden Greek peppers. They are sweet and mild in flavor, not very hot although they can vary and be found up to a medium heat level. What is your favourite pepper? In a frying pan sauté the beef until it is not pink anymore and drain the excess fat. Add the onions,mushrooms, garlic, red peppers,tomatoes, tomato juice, tomato paste, water,kidney beans,chick peas, fresh green onions,and all the spices including Frank’s Red Hot Sauce. Serve with a fresh garden salad and Mr.CBB’s Spicy,Cheesy,Bacon Corn Bread.. and of course a nice cold beer! Top the chili off with sour cream and shredded cheddar if you prefer. Mr.CBB’s Oatmeal Chocolate Chip Raisin Cowboy Quickies! Net Worth Update May 2012 CBB-Simple is Best! hehe it seems that I have picked this before 🙂 deja vu…the jalapenos are getting bigger! Almost time to harvest and make this!! Do you make those stuffed jalepenos? This is a great summer recipe when you don’t want to cook in the kitchen. It’s also great with sausages, hot dogs and nachos. My favorite pepper is the Serrano. Can’t say that I’ve had it although you never know. Wow! Lots of ingredients in yours! Mine: Ground turkey, 1 onion, 1 green pepper, 2-3 cans of mushrooms (I love mushrooms! lol), 1 can diced tomatoes, 2 cans kidney beans, 2 cans baked beans, garlic powder, chili powder. I might like chick peas in it but I don’t know about the hubby! Mmmm, sounds good…will have to try out your version. 🙂 Thanks, especially for the cornbread recipe.